A military surgeon teams with a ranking navy flyer to develop a high-altitude suit which will protect pilots from blacking out when they go into a steep dive. A platoon of special ops are tasked to parachute into the remote Burmese jungle and destroy a strategic Japanese radar station, but getting out isn't as easy. Tough dance hall girl working for the local villain falls for a cowboy trying to clean up the town. Union officer Kerry Bradford escapes from Confederate Prison and is set to Virginia City in Nevada. Once there he finds that the former commander of his prison Vance Irby is planning to send $5 million in gold to save the Confederacy. Brian Hawke of the Royal Navy versus the pirates of Madagascar. After two years under German rule, a small Norwegian fishing village rises up and revolts against the occupying Nazis. Lt. Cmdr. Lance Rogers, MD, Flight Surgeon: [Sarcastically] What's your school? The diploma mill of Hoosier State? Lt. Douglas S. 'Doug' Lee, MD: No, Harvard, Hopkins, Cambridge. I can read and write. Lt. Cmdr. Lance Rogers, MD, Flight Surgeon: Very impressive! How'd you happen to offer the Navy so much for so little in return? Lt. Douglas S. 'Doug' Lee, MD: Well. I'm just naturally generous. Lt. Cmdr. Lance Rogers, MD, Flight Surgeon: Not to mention your devastating wit! The real "stars" of this movie are the actual aircraft the US Navy had in 1940, both old and new. Those aircraft are all in their original markings and complicated paint schemes, during the time the Navy was converting from colorful to subdued colors. Every color was part of a complicated plan to identify each aircrafts place in squadron formations allowing quick identifications of exactly where each aircraft "belongs". All the planes are here, Vought Vindicators, Helldivers, Buffalos, F4Fs, PBY's, and even the little used and known Northrup dive bomber competitor of the Vindicator. The US Navy went all out with massed formations in the air and on the ground, close ups, long shots, all of it the most impressive I've seen on the screen, and every foot of it in living glorious color. No attempt to censor or exclude anything, almost as if the US Navy was saying, "Don't underestimate us". There is only one thing better than seeing this film on VCR or DVD, and that's seeing it on the large screen as I have thrice in my life. If you find the chance to see it on the large screen, don't miss it. 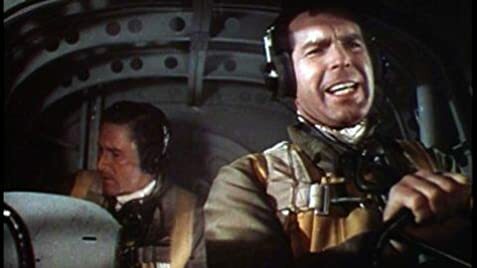 The frosting on the cake is the stirring and patriotic score by Max Steiner, parts of which show up in his other film classics like Fighter Squadron. This movie may have been made made over sixty years ago, but you'll find yourself ready to go running off to your local Navy recruiter, the effect it must have made on its audiences at the time. 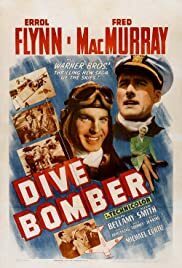 When you view this film try and imagine the actions most of these airplanes were in against the Japanese less than two years later, at places like Pearl Harbor, Wake Island, Coral Sea and Midway Island. Too bad Germany, Japan, Russia, and most of the other warring powers didn't leave a color documentary of their air forces of the time.